It’s no secret that Aussies love discounts, and there’s certainly no exception when it comes to our energy bills. Pay on time discounts are a common way to save on power costs, but are they really all they’re cracked up to be? Here’s everything you’ll need to know about pay on time energy discounts. What is a pay on time discount? A pay on time energy discount rewards you for your punctuality by giving you a set amount off your electricity bill for paying the full amount owing before the due date. Depending on your provider and plan, the conditions of your pay on time discount can vary significantly. Something to keep in mind is that many energy discounts will only be valid for a year or two from the commencement date of your plan, after which you’ll be left to pay the full, non-discounted price for power if you have not negotiated a new discount. How do pay on time discounts work? As one of the most common types of electricity discounts, pay on time discounts work by offering you a percentage off your power bill for paying the full amount owing by the due date. There is no set discount amount between electricity companies and plans, but you can generally expect to see offers ranging from 10% to 30%, or even more in some cases. Pay on time discounts of up to 47% have been seen across Australia in the past. What does a pay on time discount apply to? 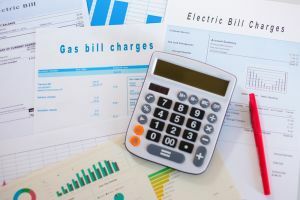 Electricity discounts almost always apply to either the usage charge component of your power bills, or the entire bill (comprising usage and supply costs). Discounts off energy usage charges are most common, in which case the percentage discount will be deducted off just the amount of energy you’ve used in that billing period, rather than the total cost of usage and supply. As the name suggests, pay on time discounts are first and foremost conditional on the customer paying their bills on time. 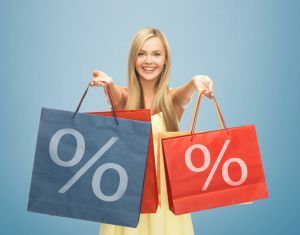 These discounts are conditional and failing to meet the conditions will likely result in the discount being lost. This means you’ll need to pay the full, non-discounted cost. Given that some pay on time discounts can be as large as 47%, that’s a substantial amount added to your bill should you fail to pay on time. So, if you’re not sure whether or not you’ll always be able to pay your power bills on time, it could be a good idea to choose a plan with low base rates, or another type of discount. Are pay on time discounts the best way to save on energy bills? While pay on time discounts can be a good way to save money on your electricity bills, it’s important to understand that even the biggest percentage discount might not mean great overall savings. Power companies have been under scrutiny for offering up plans claiming huge savings, when the reality has been those discounts have been applied to very high base prices, meaning the savings have not been as great as it would appear. On the other hand, sometimes the biggest discounts can genuinely mean the biggest savings, which is why comparing plans based on both their base pricing and potential discount savings is so important. 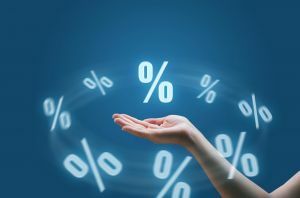 In light of recent scrutiny over big discounts, many energy retailers have now launched products with no discounts at all, claiming “just low rates” rather than marketing plans based on conditional savings. 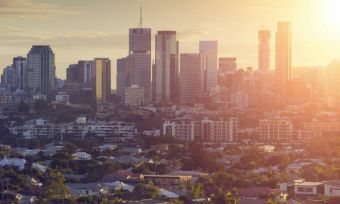 Meanwhile the Australian Competition and Consumer Commission (ACCC) has revealed its plans for a Reference Energy Bill to make comparing discounted plans easier. Who offers pay on time discounts? Read more about whether or not pay on time discounts are right for you in our energy discount analysis and see what effect they could have on your bills. What other types of energy discounts are there? Direct debit discount: Much like pay on time discounts, direct debit discounts are a reward for you reliably paying your energy bills. If you’ve chosen to set up a direct debit to pay your bills, the money will be automatically taken out of your account on the due date. In return, your energy provider will take a percentage amount off your usage costs, or the entire bill, depending on the contract. Bundled energy discount: If you’ve chosen to use the same energy provider for both your electricity and gas needs, you could be eligible for a bundled energy discount. As with most discounts, be wary that this discount might not apply for longer than a year or two. Email billing discount: By choosing to have your energy bills emailed to you, rather than sent through traditional post, your energy provider saves some time and effort. To say thanks, they might offer a small discount as a benefit. Energy retailers may also offer other discounts such as incentives for signing up online rather than over the phone, plus referral deals should you recommend a friend to your energy company. Is a pay on time discount right for me? Generally speaking, pay on time discounts are best-suited to those who are unlikely to miss a payment. If you choose to opt for a plan with a pay on time discount, go into it knowing that failure to pay your bills on time could result in much higher costs. But if you do pay on time every time, there could be some great savings on offer. Also, keep in mind that discounts often only apply to an introductory period. What this means is that the discount may be lost once the benefit period (i.e. one or two years) is up. And while it may sound like a chore, it’s important to note that shopping around will likely find you a better energy deal, especially if you haven’t switched in several years. To get started comparing energy providers offering pay on time discounts – and other types of discounts – follow the link below to our energy comparison tool.